While Microsoft has never confirmed that the company is working on a new category of Windows 10 devices, the reports have revealed that such a project is still part of its long-term vision. Microsoft is believed to be working on multiple dual-screen devices and as well as a modular operating system. A report recently revealed that the very first Windows 10 build for foldable devices is being internally tested by the software giant and today yet another rumour details Microsoft’s plan. Microsoft is said to be working on a new SKU of Windows that would work on foldable devices. The platform is internally named Windows Core OS and it could be a big investment in the company’s software business. 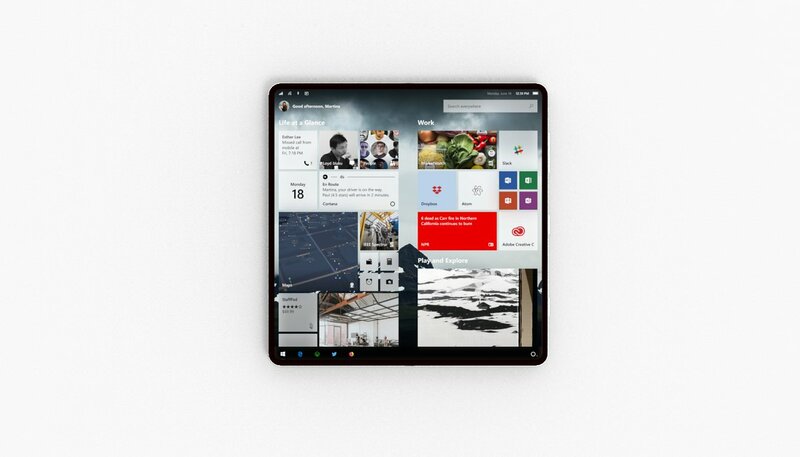 Microsoft is working on Windows and the built-in apps to run flawlessly on foldable and dual-screen devices. The company is said to be working on its own hardware, but the software maker is also working with Intel and OEMs to launch a new series of dual-screen, foldable. The hardware of a dual-screen device is a lot different than that of mainstream devices and there could be possible software issue that needs to be dealt with accordingly. The dual-screen hardware will use Microsoft’s Composable Shell (C-Shell), a more UWP-centric and flexible shell that would be on top of Windows Core OS. Obviously, all these claims are rumours at this point, but judging from the leaks, we’ll learn more about the modular Windows Core OS and Andromeda and in future builds of Windows 10 previews.